Steve Albrecht a retired police officer from the San Diego Police Department founded Albrecht Training & Development. His firm provides training and consulting on workplace violence prevention and threat management. 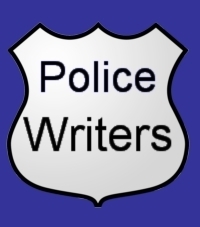 Steve’s book, “Surviving Street Patrol: The Officer's Guide to Safe and Effective Policing,” advises fellow officers of measures they can take on a routine basis to improve their odds of going home. Whatever the challenge at hand - handcuffing noncompliant suspects; preventing suspect escapes; surviving group attacks; fighting on the ground; dodging bullets; protecting homicide scenes; or, dealing with the media - Albrecht has time-tested advice for handling it safely and effectively. Steve’s book serves as a valuable learning tool for those street cops, regardless of the size of their beat, agency, county or city. According to the book description of Fear & Violence on the Job: Prevention Solutions for the Dangerous Workplace, “Fear Violence on the Job is designed to show readers how to recognize dangerous or violent customers, employees, students, or patients; identify specific warning sign behaviors; change those behaviors legally and safely; and protect the organization and its valuable assets from the real, costly, and even deadly hazards of workplace violence. The author is a nationally known expert on this subject who trains executives, managers, and supervisors on how to recognize problems and intervene before a situation becomes violent.